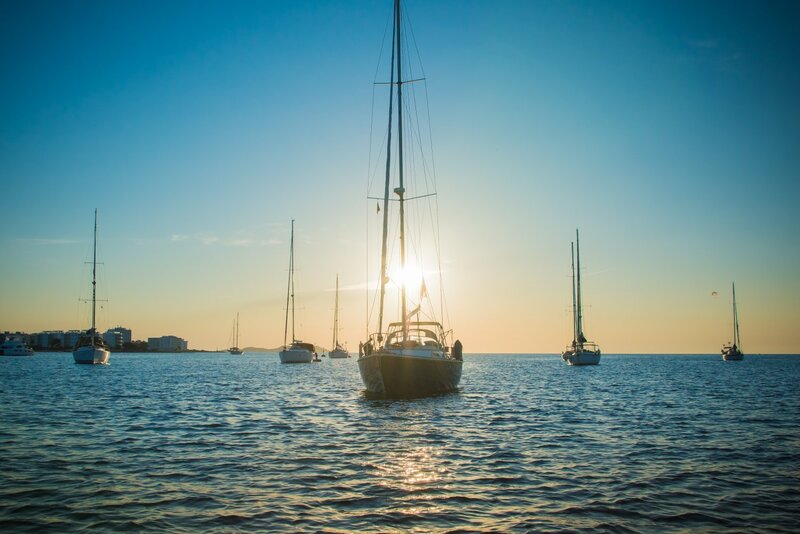 When cruising the waters of Ibiza, why make your own food when top restaurants deliver? Here's our pick of three of the best. When out cruising the beautiful Balearic sea and don't feel like making lunch, why not have it delivered directly to you on your boat from a top restaurant? When you stop your boat to gaze at beautiful coastline or top up your tan on the deck, many eateries around the coasts of both Ibiza and Formentera allow you to simply order in from their menus and have it brought to you by dinghy. No need to go ashore at all. Whether you are lucky enough to have your own boat or are hiring one for the day, you can have your jet-set moment enjoying some fabulous food and maybe some champagne - why not - without lifting a finger. Here we give you three different places to choose from, all known for their excellent food, so anchor up, relax and live the dream a little. Whilst many look for glitz and glamour at Cala Jondal on Ibiza's south coast, Tropicana Ibiza Beach Club goes more for laid-back luxury and excels at fresh Mediterranean flavours using fine foods. Acclaimed for its quality, the menu is brimming with magnificent dishes and drinks for you to enjoy all on the comfort of your boat. Duck foie gras, prawn carpaccio, lamb ribs and couscous or a cod confit. It's there for the eating. Nestled next to S'Estanyol beach, Cala Bonita in the south-west of Ibiza, is a restaurant that offers great food that's simple with haute cuisine touches, offering a real taste of the Mediterranean. Executive chef Pau Barba Fresh has created a menu using fresh, local ingredients of the highest order. Choose a whole-baked sea bream, add in one or two bottles of chilled white wine from its excellent list and you have yourself a gorgeous lunch. Anyone who is anyone must have heard of Juan y Andrea, the famous Playa Illetes beach restaurant. Its popularity requires booking early to get a table, so getting food to your boat means it's not important if you forget to make a reservation. Dial in some of its famous speciality seafood. If eating from here, you simply must try the locally-caught prawns or crayfish or the “Juan y Andrea salad” of prawns, avocado and salmon caviar - all in a spicy sauce. Don't forget the drinks!